The MGallery Collection’s French Indochine-styled Hôtel des Arts Saigon arrived in Ho Chi Minh City in October 2015. 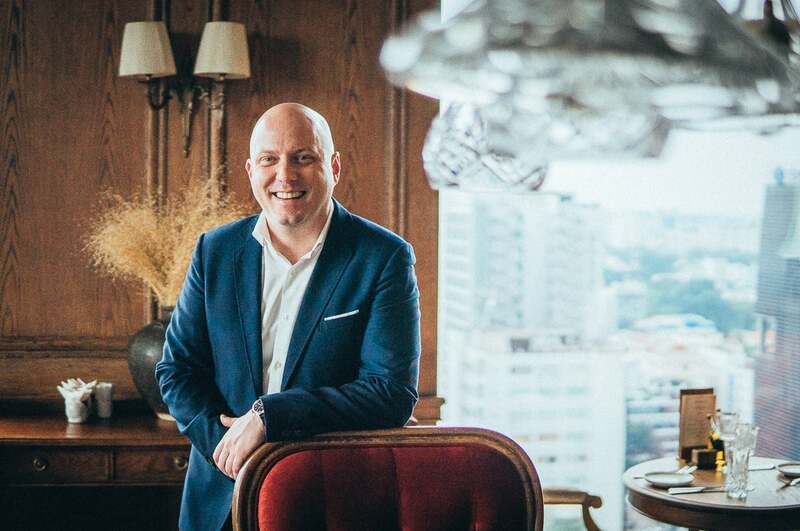 And the General Manager of the 23-floor, 168-room hotel, Carl Gagnon, quickly steered the hotel to a prestigious ‘Luxury Business Hotel of The Year’ award for Asia only a year later. The opening itself was another clear sign that Vietnam’s tourism industry is booming. In 2016, we welcomed a record ten million tourists. That’s despite low government investment in promoting the industry, recently put at $2m — a figure well behind regional neighbors like Malaysia ($69m) and Thailand ($105m). International and local industry players, like MGallery, who now have five hotels in Vietnam, are expanding their operations, perhaps hoping to change perceptions of Vietnam’s hospitality and its ‘one-time tourist problem’ (after reports this year suggested 70% of tourists aren’t planning to return). 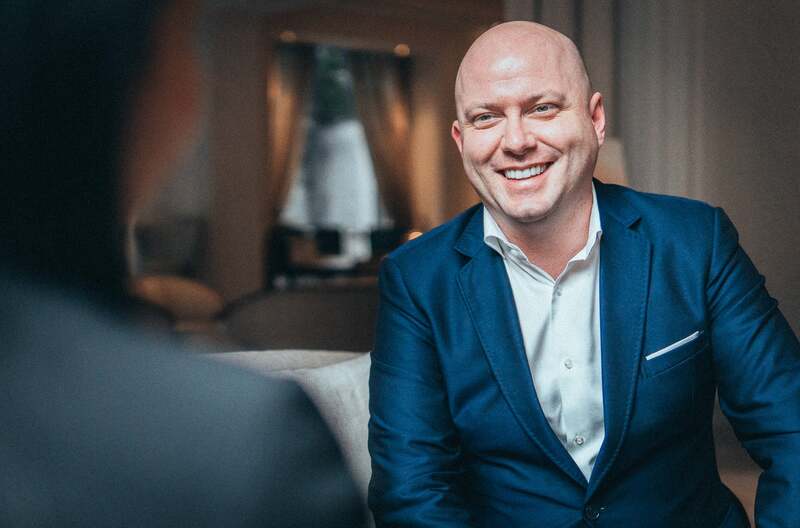 So we asked Carl, a veteran of the hospitality industry, to give us his take on where tourism in Vietnam is heading and why he’s excited to play a part in its development. How did you find your way to Vietnam? I was already working for AccorHotels’ Sofitel Montreal, and was looking for my next expatriate posting abroad. I have always had a special affection for Asia, frequently visiting Vietnamese shops in Montreal, sometimes going to Chinatown and enjoying Asian cuisine, which I would often also cook at home for family and friends. This invisible bond somehow led to the idea of moving to Asia. I was so excited when they offered me a posting at one of our iconic properties in Hanoi, the Sofitel Legend Metropole Hanoi. Arriving at that exceptional property is not a bad way to land in Asia. What keeps you in the travel business? First, I don’t know anything else! And I’m not so sure I want to know anything else because this is a very exciting business. Every day brings me something unique, different and challenging. We deal with different stakeholders. Firstly, there are our clients. They are demanding, especially in a five star hotel like ours. Guests have high expectations and we have to fulfill them. Additionally, we work with locals, expatriates, the owners of the hotel and the AccorHotels Corporation. Also, I think this is a great business to be involved with in Vietnam as the country continues to experience exponential growth, especially in the travel and leisure segment. This industry also generates great income for Vietnam. I feel we are here to help make that even better. What are some features of the Vietnam travel ‘brand’ that make it distinct from other Asian countries? What makes Vietnam outstanding, I think, is its authenticity. From the conical hats to the rice fields and water buffaloes, you don’t need to travel very far outside of the city to experience all of these ‘clichés’ that you would see in a movie. But this is not a movie, this is real life in Vietnam and it’s everywhere around us. There are many countries in Asia that don’t really feel like ‘Asia’ anymore. It’s not easy to find an Asian country that can give you that bona fide experience, and I think Vietnam has managed to preserve that element very well. Vietnamese people are also very friendly and welcoming. If you give people a smile, they will give you a smile in return. I think that makes Vietnam very distinct and very genuine. They would welcome a complete stranger into their houses to have some tea and to eat with the family and maybe try some of their specialties. 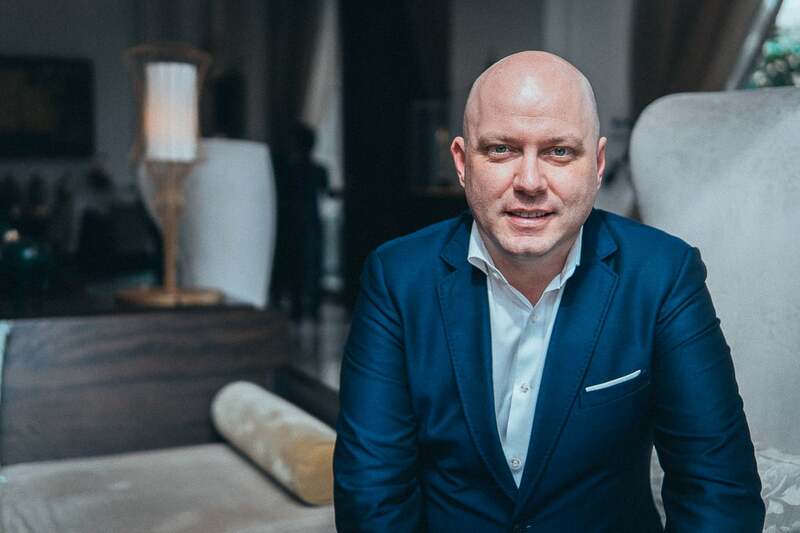 What are your core responsibilities as General Manager of the Hôtel des Arts Saigon? It’s simply to make people happy. Starting with our guests, but also our team, our owner and all the stakeholders that I mentioned earlier. It’s my job to make sure that we are all on good terms. That may sound like an obvious answer. So, to give you more details, I’m also responsible for everything that the hotel is connected with. Basically I make sure that people are doing their best, and proceeding with passion. Of course, we do have specialists in every department to support me with that too. How has your perspective of Vietnam developed? Where did it start and what is it like today? I absolutely believe the country is on the rise. The expectation is that Ho Chi Minh City will very soon be one of the top two fastest developing cities in Asia. And there are many surveys that project Vietnam, by 2050, will be in the top twenty countries in the world. Everyone’s eyes are on Vietnam. More and more high-rise buildings are being built with construction times of nine months to two years. That is quite unbelievable. It doesn’t happen in many places like it does here. I’m from Canada, and we don’t necessarily see that kind of speed in regards to building, let alone the amount of small businesses opening every month like they do in Vietnam. That’s not to mention the strong competitive evolution, especially in the food and beverage industry and the retail sector. There’s ongoing positive changes taking place all the time and the infrastructure is most certainly being improved. The metro construction is underway and it is a significant indicator of how fast this city is changing. I think the breakthrough that spurned all of this leads back to Hanoi. When I arrived in 2006, Vietnam was hosting the APEC Summit. This was exposure for Vietnam, and in 2009 the country entered the World Trade Organization. The country has grown at a much faster speed thanks to the support from the government and from these kinds of initiatives. For me personally, I’ve had three excellent postings in Vietnam and they were all unique. What is the future of travel here? What can brand owners in Vietnam do to help boost their image? There are some nice figures to note. According to the Tourism Department, international arrivals to Vietnam in August 2017 were estimated to be 1,229,163 people. That’s an increase of 18.5% over the previous month, and up by 35.1% over the same period during the previous year. Total international arrivals in the first eight months of 2017 reached 8,472,379, an increase of 29.7% compared the same period in 2016. There’s also the ‘Timeless Charm’ campaign initiated by the National Administration of Tourism. Having a tourism brand is important. Many Southeast Asian countries also have campaigns similar to Vietnam’s, such as ‘Amazing Thailand’ and ‘Malaysia Truly Asia’. The challenge is to get the country ready to live up to what we are promoting with the campaign’s slogan and in the accompanying video. As for AccorHotels, we have a very firm presence in Vietnam from north to south with five MGallery Collection hotels, and nearly thirty hotels in total across the country. We are proud to be one of the stakeholders supporting Vietnam’s tourism initiatives, helping to make sure everything is heading in the right direction. Can Vietnam create its own globally recognized hotel brand, like the MGallery Collection, the Ritz-Carlton, or the Shangri-La? This depends on various elements and it is not easy for me to forecast. I’m quite sure that there will definitely be some strong competition coming in the future. And that applies to the industry internationally, regionally, as well as nationally, and that’s something which we can’t ignore. Who are the customers coming to the Hôtel des Arts? Our customers are diverse. We have a good mix of European travellers, as well as Australians and Americans. We can say 60% of guests are from the West and the rest are from Asia and other parts of the world. We receive a nice combination of leisure and corporate visitors and a good number of chic ‘lifestyle’ travellers. We are aimed at travellers who demand a five-star service, but who also want a unique lifestyle experience. Can you share with us some initiatives that MGallery is developing to set itself apart from the rest of the hotel market here? Being a design-based hotel with a boutique concept, we care about our guest’s experience, offering them lifestyle and artisan services. We want to create memorable moments that focus on local culture and arts. As the most recognized brand for women travellers, we’re also excited to implement a special program called ‘Inspired by Her’. A recent Accor survey identified that women represent 43% of business travelers and take 75% of leisure travel decisions, and we want to celebrate that. We also join in AccorHotels social responsibility programme called ‘Planet 21’, in which we support local non-profit work and promote sustainability. Why are there so many hotels in development in Vietnam? Will there be an overabundance soon? Vietnam is clearly a significant emerging country. Like I said earlier, the country is developing at a fast pace. Added to that there are more and more people from other countries looking to travel here. However, making money by running a hotel or a restaurant is not as simple as people might believe. It is not only about opening one, but it’s about operating it properly. It is crucial to build and maintain a firm reputation and establish trust. Once the guests trust you, they will remain loyal and that helps maintain your business. People sometimes try to earn as much as they can from each guest right from the beginning and neglect the guest experience. They focus on quantity rather than quality, which is an absolute mistake in this industry. 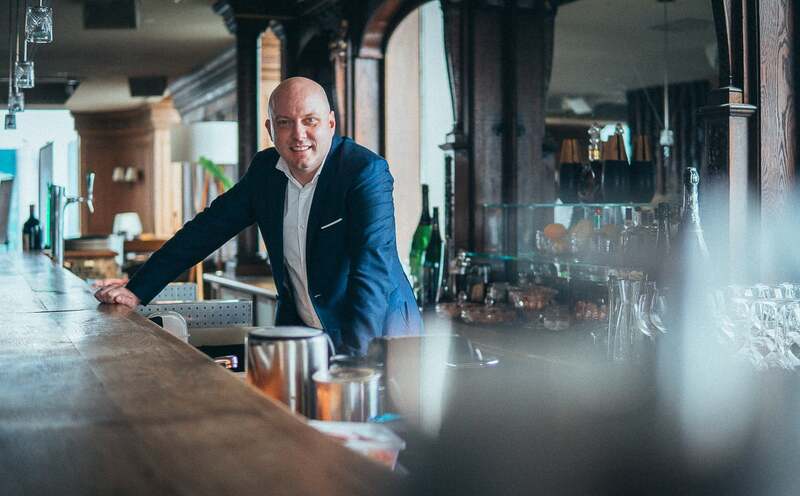 There is a possibility of a glut in supply, yet it is monitored by the tourism authorities to keep high standards of service quality in hotels. As a Canadian expat, have you faced any challenges working in Vietnam? Fortunately never. Living in a foreign country is like being a guest all the time. You have to respect people, their culture, and value their appreciation of you. Here in Vietnam, people respect you and it is very important that you do the same. The government has always been great with their support for tourism and immigration not only to our guests, but also to myself as an expat when there were potential issues. What are some of your favorite hotels in the world? What about in Vietnam? My favorite hotel in Asia would be the Sofitel Legend Metropole Hanoi. Legendary hotels are my kind of hotel. The Raffles Hotel Singapore is up there too. In America, it would be the Fairmont Brand hotels. Most of the iconic Fairmont properties are in Canada. They were my dream hotels as a kid and those hotels are still my favorites today. For Vietnam, aside from the Metropole Hanoi, I obviously love the Hôtel des Arts Saigon for its modernity and distinctive influences from the 1930’s romantic era.